As a homeowner, one of the worst things you can imagine is a plumbing emergency that not only costs you money but can cause significant damage to your home. Plumbing problems are stressful, and it can be difficult to figure out what to do when one occurs. 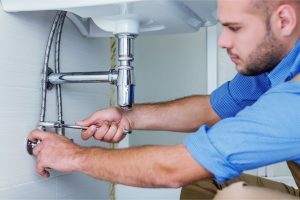 So to help you be prepared for possible plumbing problems, this article is going to discuss some common plumbing emergencies. Leaky Faucets: While leaking sinks, toilets, or other plumbing fixtures may not seem like a big problem, they can quickly escalate. Many homeowners mistake that leaking bathroom sink as a slight annoyance. However, even the smallest leak can quickly rack up the water bill. In fact, the average home in the U.S. can save almost 10,000 gallons of water each year if simple leaks are fixed. So while it may be tempting to just ignore a leak and avoid easy plumbing repairs, homeowners should get leaks taken care of to prevent excessive water use, rust formation, and mold growth. Broken Water Lines: Water lines can become broken or damaged due to tree root growth, natural disasters, and even poorly planned yard work. Of course, water lines are underground, so it can be difficult to know when something is wrong. One sign of a broken water line is when the surrounding yard area becomes soggy and unusually wet. Broken water lines can lead to poor water quality and very little to no water pressure. This can become a serious problem when homeowners aren’t able to properly shower or wash the dishes. Because water lines are underground, this is one of the more serious plumbing repairs and should only be handled by professionals. Burst Pipes: If you live in a climate that gets especially cold in the winter time, your pipes may be prone to freezing. Frozen pipes or any other type of damage or pressure can cause the pipe to burst. If this happens, homeowners will be facing a flooded area very quickly. If you’re dealing with a burst pipe, it’s important to turn off your home’s water supply to reduce the amount of water that comes out. After that, it’s important to contact a plumber for emergency plumbing repairs. Flooded areas can cause serious damage to your home and belongings so it’s crucial to get this taken care of as soon as possible. Fortunately for residents of Anaheim, California, frozen pipes aren’t a major concern. Hopefully, you’ll never have to deal with any of these plumbing problems. However, if you do find yourself facing a plumbing emergency, it’s important to contact a plumber as soon as possible. 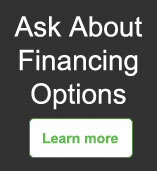 This will allow you to limit structural damage and water bill expenses.